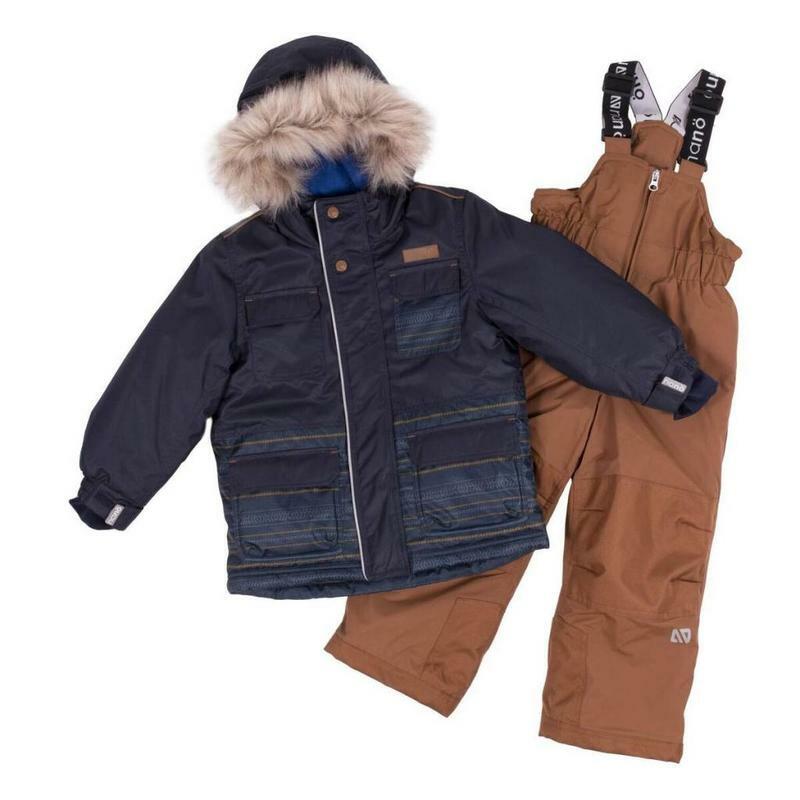 Snowsuit with 4 patch pockets. Micro fleece lined hood and pockets. Powder skirt with elastic rubber band. Micro fleece lined detachable mittens and boots.